And it’s not just the present. There is future relevance. When they are older, they will know I cared for them at home. That it was me. That it was I who wiped their bottoms, their noses and their hands – not in that order (that would be gross). That it was I who taught them to use their knife and fork, their manners, and their words. That it was I who guided them in learning to use the potty, a crayon, and a spoon. That it was I who was there to kiss away those tears, cuddle away those upsets and nurse away those fears. That it was me, their mother, who loved them in the way of the verb, everyday. So. I am a childcare provider. To my own children, at the cost of a professional London salary. Yet despite that cost, I am deemed to be making a ‘lifestyle choice’; I am dismissed as making a personal decision, as though other parents who take the employment/nursery option are not. I regularly read articles about politicians’ meetings with ‘childcare providers’ and how the cost of ‘childcare’ is crippling – when, really, it’s the cost of living which is crippling; when, really, how can we separate the cost of childcare when housing, fuel, food, heating and travel are so high – and how ‘hardworking families’ deserve increasing subsidy for their ‘childcare costs’. I read about how ‘childcare’ costs are those outgoing to a stranger, but with the added bonus of a salary at the end of it. Some days, I ignore what I am reading, moving on to obscure texts on women’s liberation. So, while I define myself as a human being, a mother, a woman, perhaps it is time that I remind politicians, media and policy-makers that I am also a childcare provider. And that my children are benefiting from my care – in ways which no stranger can replicate. There is value in my care. There is personal investment in their future. There is love in my care. The love of a relationship of importance. The political, financial and social pressure on families to replace that care with formal childcare is increasing. It is huge. Every family must do what is right for them, and I believe every family should have the respect and support to frame their family and employment/career balance as they wish. And this works both ways. Any mother who is compelled to be separated from her child is not being respected. Economic policies should value the childcare and nurture she is providing just as much as it values the mother who returns to employment. And when I say mother, you know that I include father – but I am talking about this from a feminist perspective. How a woman who is a mother is only valued when she is also a woman who is in receipt of a PAYE Code. No family should have to trade loving care for formal childcare unless that is what they wish to do. Yet, politically, no value is placed on parental care of the nation’s next generation. So in all, what a sad place to be – where a mother feels she can only hope to have some status in political eyes if she degrades her position and her worth to ‘childcare provider’. ‘Who is doing childcare today?’ someone asks a mum on a Saturday or weekday. Weird question!!! ‘Do you mean who is *looking after* or *caring for* the children today?’ (that’s what we used to say … and I’m not sure when the language around bringing up children, loving them and caring them, changed so much and got ‘professionalised’ somehow to fit with language of paid employees. In fact the whole process has been professionalised, tick boxed, stripped of ‘family’ language. It’s interesting that not only is being stripped of family language but we are also somehow not supposed to talk about ‘mothers’ either. The role of raising children -the ups and downs and repetition of it (and I would say that the repetition and learning to ‘slow down’ is part of it….) is being shifted to another place – registered settings. Just read about a new setting for babies aged six weeks old where we live. So sad. And this is being celebrated as an excellent new service!!! The gap between the well off and poorest in society – or between those who have the resources to manage family life fairly well versus parents currently struggling didn’t begin with lack of nurseries and early education – rather it began with weakening of family life, relationships and communities (and acute time poverty). Also, it began with debt (and economies depending on false growth/debt and even encouraging it and making it hard to avoid….student loads /low pay/high rents etc ). Also, the difficulties began when housing was used to feed false growth, forcing unprecedented escalation in costs, making it impossible for ordinary folk to make ends meet without working ever- longer hours. Chasing it, but never catching up (how many people will pay it off at the end or will we now move to inter-generational mortgages?) It can be traced probably back to stubbornly low pay rates, failure of govts to support family systems through decent family taxation and protection of child allowances/benefits. Politicians talk of poverty and the need to ‘get on’ and be more ‘hardworking ‘ than most already are, as if it’s their own fault!! They (who manage the system) overwhelmingly seem to come from wealthier backgrounds where they have never had to contemplate all-night shifts in hospitals, shops or factories, year in year out, where decent jobs are usually found (by magic) for their young adults later through a complex web of contacts and opportunities that most people can only dream of (good luck to them)…… And still they tell ordinary people they need to work even harder and have less family time and be more ‘aspirational’ because apparently the system can’t afford to treat young families with children properly anymore, and so they need to ”be more responsible” and double the amount of paid work they do (if they can find any! ), just to survive and put food on the table. All this when well-documented that the wealthiest are getting wealthier. Seems crazy economics. People at the top with plenty of financial cushion will be able to retire at a decent stage in life in their sixties and will start to help their adult children, or take the odd break, pull back from long hours in work – whilst ordinary folk on low pay will be forced to keep working two jobs until they drop at this rate. Progress? For who? Certainly not for our children and our children’s children. Love this! So, so true. I hate the expectation to have to justify caring for my son. He’s mine – why wouldn’t I want to?! Why do you just talk about mothers here? Is it somehow a less legitimate a choice if it is the father at home providing the caring role? Sarah, you raise an interesting point and one which comes up time and again for anyone who dares to speak about motherhood and mothers at home. 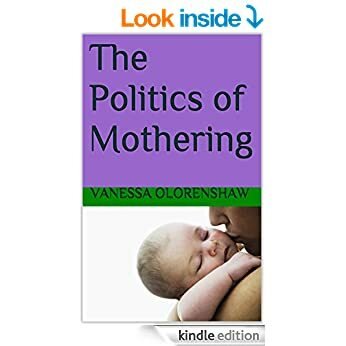 If you read my material on here, and indeed this very piece, you will see that I do not consider a father at home to be any less legitimate, and take the view that parental care is important. Parental care. Do you see? I am a founding member of the women’s equality party and have worked with them on formulating policy concerning equality in parenting. There are fathers’ groups such as the Fatherhood Initiative as well as WEP who are fighting that corner. I do not see the need for me to do the same on this blog. As a feminist and one who sees the freedom of women to mother their children at home to be under threat, my main priority is women. Mothers. You might like my piece about Mentioning Mothering and Neglecting the Menz. If a male stay at home parent wishes to campaign, write and be an activist on his own steam I would applaud and work with him. He could add his name to the organisations fighting for men and fathers. However, I see it as anti-feminist for people to try to silence mothers seeking to advocate on their own behalf, and anti-feminist for people to try to encourage mothers to change their language to parenting. It is a feminist issue. I make no apology for writing about mothers. The clue is in the blog title. Challenges like this say it all – the very existence of a blog talking about mothers at home is challenged for having the temerity to ‘talk about mothers’. Hope that helps. I completely agree with you, thank you. If only the Government would acknowledge what a vital role we are playing in raising children who will grow up to be stable, conscientious members of society. They want our taxes in the short-term instead of the long-term pay-offs of well-rounded citizens we are nurturing. If only they would support all families, not just the ones who pay for childcare. Keep going, it’s worth it. You’ll never regret it. My child and most of my friend’s children go to a nursery like me and my siblings did when we were small. We turned out be pretty well rounded conscientious people too, so would our children. Just with added bonus that we would turn out to be mothers who have had fulfilling careers. It’s much more hard work but well worth it. What is interesting about your comment is that you presume all women who work outside the home will be enjoying fulfilling careers. Aside from the fact that many women are effectively forced into low paid, low security, low status jobs when they might well prefer to be looking after their children themselves, there are many women who would prefer to be home, career or not. It is also interesting that you make a comparison that it is harder work to do what you are doing, which is subjective. I support all mothers to frame their home and employment/career balance as they wish. I make no judgement about which is better or more hard work. Thank you for taking the time to comment, it is always interesting to hear people’s own experiences.